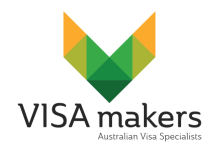 At Visa Makers we know having a visa refused or cancelled can be a stressful time for you. The worry related to not knowing what the future holds and whether you will be able to stay in Australia can have its effect on you and your family. Visa Makers can help manage you Administrative Appeals Tribunal (AAT) (previously MRT) case from start to finish providing you with peace of mind that your case will have the best chance of success. When the Department of Immigration makes a decision that is unfavourable to a visa applicant or visa holder, in many cases the applicant or their sponsor can seek a review of that decision to the Administrative Appeals Tribunal. (AAT) On 1 July 2015 the Migration Review Tribunal, Refugee Review Tribunal and Social Security Appeals Tribunal were merged with the AAT.